What does it really mean to be Clairaudient? Clairaudience is the psychic sense of hearing. Its meaning comes from the pairing of the French-Latin roots clair which means “clear”, and audience which comes from the root word audientia which means a hearing or listening. En total, it means “clear hearing”. When clients come in for psychic diagnostics and talk about clairaudient experiences, they are usually the most frightening of their experiences. This is because as a society, we are usually afraid of what we cannot see or conceptualise in the physical realm. The clients who come in and talk about these experiences are equally frightened because psychic hearing is often labelled as an auditory hallucination, and people are given diagnoses like psychosis or schizophrenia and made to feel like there is something “wrong” with them. Now, here’s the thing: If a person has too many energies in their field that are not their own (there’s an article coming out in the next few months about this), and those energies carry sounds and voices with them, it can actually affect and alter a person’s brain chemistry so that they begin to present with the misfiring synapses that represent something like schizophrenia. This is why it is always important to discern- no matter what psychic abilities you have (and everyone has something… it’s human nature to have psychic ability)- whether or not what you are experiencing is “yours”. If you are hearing sounds, whispers or voices, ask whose they are. You might just get an answer. Sometimes, a voice actually does belong to you; it is the voice of your Higher Self or your intuition. It is vital to take a moment and ask if what you are hearing is yours or someone else’s, and if you get the answer that it is someone else’s, to ask whose it is. You may not get an answer to that, and that’s okay. Voices are not the only way that people experience clairaudience. Some people have clairaudience and experience it through hearing songs in their heads, hearing high pitched tones or ringing, hearing deep hums, hearing the sounds of appliances like washing machines or car motors, or hearing nature sounds like the rain or the wind or the crackling of fire. Symptoms of clairaudience include an extra sensitivity to loud noises in the physical realm, a propensity towards music, and a presentation of being physically hard-of-hearing. A funny story is that when I was a teenager my dad brought me in to the ENT for a hearing test, because my family was worried that I wasn’t hearing things properly. For those of you who have never experienced a hearing test, for a portion of the test they play some sort of pitch and you have to click a button every time you hear it. I got 100% on my test, to the point where the examiner said that sometimes she thought I might have been pressing the button just as the pitch went off. This was something she, personally, had never experienced before. The whole test I couldn’t tell whether what I was hearing was “real” or not. I would hear the pitches, but sometimes I would hear them in my head rather than through my ears. It was a strange experience, to say the least. Hearing things that are not in our physical realm can be a scary experience- I will not deny that. But it can also be a beautiful one. It depends on what energies you are giving permission to speak to you. When I first really started to deepen my use of my abilities at 15, I was calling in some really nasty things. It was scary for me to fall asleep with all of the voices coming at me and telling me to cut myself, or telling me that they were coming to get me. I can absolutely understand how a neutral ability like clairaudience could so quickly turn into diagnosable a mental illness. Over a decade later, I hear nice ringing tones occasionally, messages from good friends, songs with potent lyrics for what I’m going through at that moment in life, things from my intuition and Higher Self, full-blown musical compositions, and more. It adds to my life in a positive, welcomed manner. I am telling you this, because if the scary sounds are what you have been experiencing, I want you to know that there is another side to it all, and that you have the power to determine what does and does not enter your sphere. It’s not simple- it takes work. And it takes some deep- likely difficult- looks at your Self. Part of the reason that there is so much fear of clairaudient experiences is because of the stigma that comes along with them. This makes people feel as though they are “crazy” when they are hearing things, which attracts “crazy” energies into their spheres, and could perpetuate the induction of mental illness. It is a slippery slope, and it is a slope that is easy to slip down. 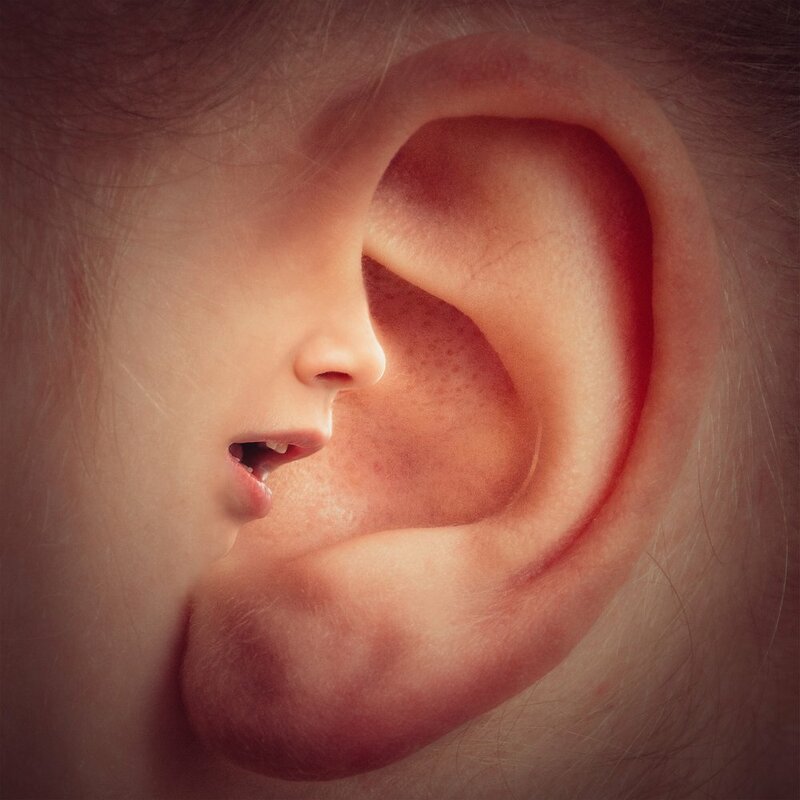 I am here to tell you that if you are hearing things- whether voices, strange sounds, animal noises, music, or something else- you are a completely normal, completely valid human being. **Do you have further questions about clairaudience? Doorway to Self hosts Facebook and Instagram LIVE Q and A events once a month where you can ask and be answered on the spot! If you would rather ask anonymously, feel free to email your questions to doorwaytoself@gmail.com, and Rachel will answer them for you within the live session. All sessions are recorded and uploaded to YouTube afterwards with questions and time-stamps for when they are answered outlined in the comments section. The next event is Tuesday 26 March at 3pm PCT/ 6pm EST/ 11pm GMT. Rachel Leah Gerson is a Metaphysical Practitioner and Psychic Educator, and the creatrix of Doorway to Self, LLC. A graduate of the University of Michigan in English and Creative Writing and a current master’s student of Clinical Mental Health Counselling at Western Michigan University, Gerson is determined to help people understand the intersection of mental health and psychic abilities, because “If you’re human, you’re psychic”. *Gerson is not a licensed mental health professional, and Doorway to Self is not a traditional or licensed mental health practise. Please consult your physician or mental health professional before discontinuing any medication, or deferring diagnosis or treatment.